As summer quickly approaches and temperatures rise, enjoying outdoor activities to some may come earlier in the day or later in the evening to avoid the sun and heat. Those who are active and like to walk, jog, or bike and stay within the Lehi Crossing neighborhood, have the option of staying off the street and sidewalks by utilizing the walking/bike paths. These paths, about a mile in length, run behind the houses in the back of the neighborhood starting from the far east side of the community and ending at the far north west part of the community. 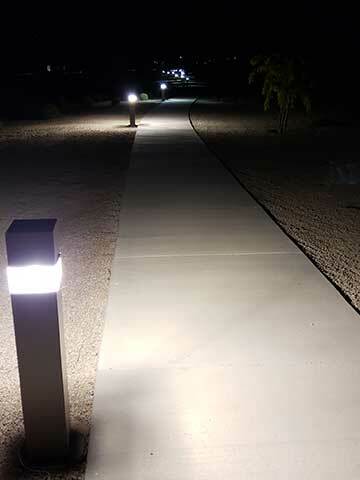 Those who do like to avoid the summer sun and would rather be out when it gets dark can still comfortably run this path with ease as it is well lit with lights that are lined along the side of the pathway. 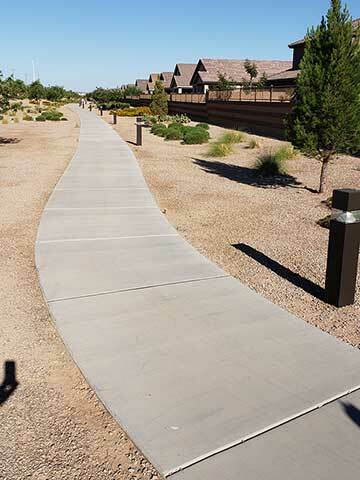 There are also multiple entry points throughout the path via the neighborhood streets, which also serve as an easy route to access the multiple greenbelts and playgrounds throughout the community. Having these interconnected walking/jogging and bike paths within the neighborhood allows one to avoid traffic on the main street. In addition the common areas, walking paths, and greenbelts are all supplied with pet waste stations to give owners waste bags and trash bins to keep the community clean while being a "pet friendly" neighborhood. Each of the five neighborhoods of the Lehi Crossing community has their own greenbelts, playgrounds and outdoor sports areas consisting of sand volleyball or basketball courts. The playgrounds throughout the community are all covered by a mesh awning, which protects children from the sun and keeps the playground equipment cooler for children to play on. Also included in at the greenbelts are covered areas with picnic tables, and stand alone grills for those who want to bar-b-que out at the park with family or friends while letting kids of all ages run around in the grass or play on the playgrounds. Not only does the community have events to do outdoors, there is a community-exercising group that takes place weekly at the local community church building (The Church of Jesus Christ of Latter-Day Saints) off Lehi Road. Members of the community of all ages meet within the gym at the church and motivate each other to exercise. Children are welcomed as well and the children bring balls, scooters and other sources of entertainment while parents are working out. As the community continues to develop more events will occur throughout the summer to help local residents become acquainted with one another. The monthly wine meet and greet continues, and will take place end of June at a residences' home within the community.